It’s Christmas time once again! Now that the holidays are officially upon us, your preschool children must be so excited to enjoy their most awaited vacation. Aside from the wonderful gifts they are expecting to receive, your little ones are surely looking forward to the activities they can do during their Christmas break. So you have to be ready early with the exciting activities you can give your kids and at the same time, give them opportunities for learning. Here are some of easy yet fun holiday activities for preschoolers. 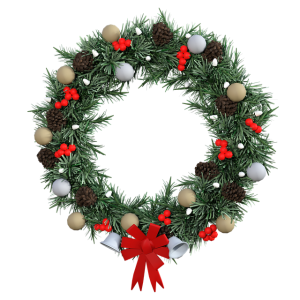 Everybody, including your preschoolers, would love to make a festive Christmas wreath. Get your children involved in this project by taking them out to gather some pine cones and evergreen branches or you can also opt to buy items at the store. You can build the base of the wreath by attaching your greens to a wire, and allowing your preschool children to do the decoration. Teach them how to make bows and ribbons and guide them as they put them on the wreath. The holidays are a perfect time for you to enjoy bonding with your children. Kids, especially at preschool age, love to watch Christmas-themed movies and programs. To make the most of this vacation and spend quality time with the whole family, make each night a movie night. Let your kids pick the movie and don’t forget to prepare the snacks to make the experience more enjoyable. You can probably have a popcorn night on a Monday, a pizza night on Tuesday and so on. There’s a plethora of baked goodies that you can make with your kids this holiday season. You can bake gingerbread men or some chocolate chip cookies, chocolate pixies and a lot more. This is going to be a fun holiday activity that they will definitely enjoy. Choose the easiest recipes and allow them to help you out by doing the simple steps like mixing the ingredients, forming the mixture into round shapes, and decorating with sprinkles. . Decorating your Christmas tree is surely a part of your to-do list. Add a twist to your holiday tradition by adding a new ornament made by your kids. This year, you can ask them to do candy canes, for example, which they should hang on the tree themselves. Or you can let them choose a simple decor project they can make. Then do a different ornament next year, until it becomes an annual tradition. Your preschoolers will love to feel that they are helping out even in simple ways to get them engaged. Because Christmas is the season of giving, show your family’s giving spirit by reaching out and donating to your local charities. This is an excellent opportunity for your kids to practice sharing too. Because they will be receiving new toys and gifts this Christmas, you can ask them to gather the stuff that they will not be using anymore, like old clothes, books, toys and shoes. This is a very good lesson that will teach them selflessness. Make each night of the holidays extra special by having a hot chocolate buffet. Hot chocolate is something that your kids would love to have during the cold weather. 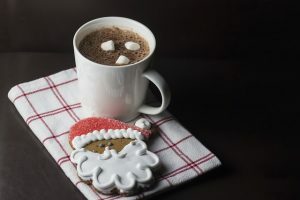 Add a twist to your regular cup of hot cocoa by preparing different toppings that will allow everyone in the family to customize their drink. You can have some marshmallows, sprinkles, cinnamon, and a lot more. If your preschool children are into arts and crafts, this is the best time to ask them to put their skills into practice by making Christmas cards. If they want to give some people Christmas gifts, the homemade cards would be perfect. Give them the materials and allow them to get busy with the card making. If they have to use some sharp tools like the scissors, make sure that they do this fun holiday activity with your supervision.